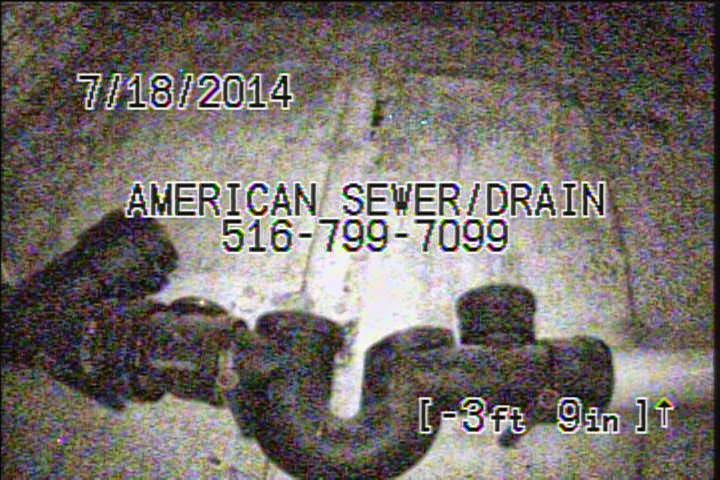 American Sewer and Drain Cleaning Inc.
Sewer Cleaning & Sewer Water Jetting job in Nassau County, NY earlier this month. Contractor was remodeling the whole house. Water jetted the sewer line and all went well with that. Previous contractor had "re-piped" the kitchen drain line with pvc. Piping runs under the slab. We decided to scope that line as well just in case because one fitting above ground was installed backwards. Good thing we did. Previous contractor reconnected to existing line without knowing that under the slab the drain line was actually broken. This job was in Merrick, NY, down by the water where the soil is sandy and will absorb water rapidly. This is probably why the homeowner never noticed the kitchen drain backing up. We hate giving bad news but better to get it before this whole kitchen was finished and a problem with this line pops up later. 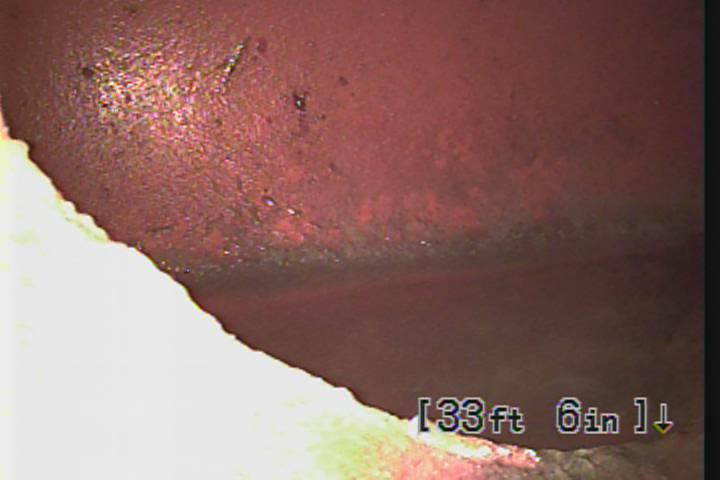 This video is from a customers' sewer who does a yearly maintenance with us. It's not a perfect sewer. 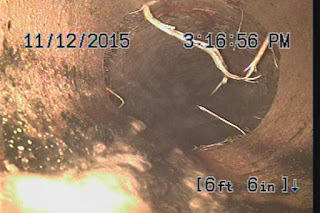 This sewer has roots intruding at some joints and a small dip. He's well aware of the condition and knows that he may have to replace it someday but he hasn't had a sewer backup since we've been cleaning it for the last 3 years. We guarantee his sewer for a year every time and he continues to pay the same price every year. 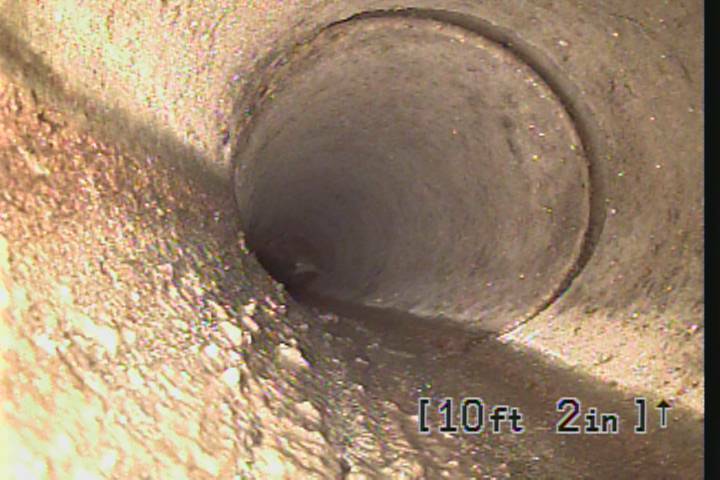 Using a sewer camera benefits the customer in a way that let's them know that they need to do preventive maintenance or have a repair done. 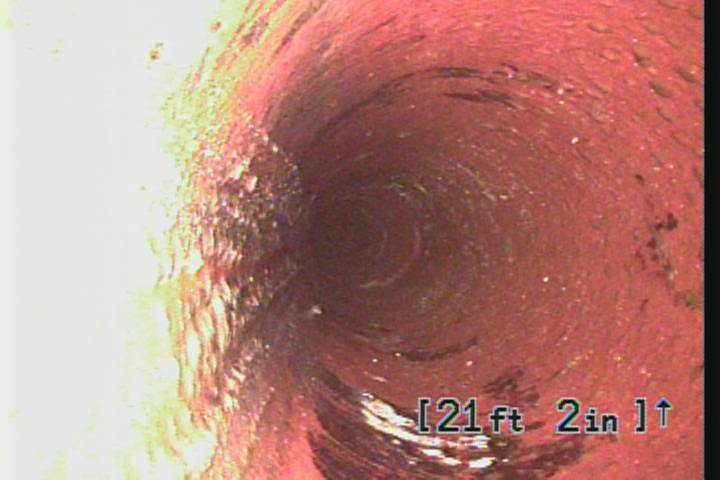 90% of the time a yearly sewer cleaning is recommended. 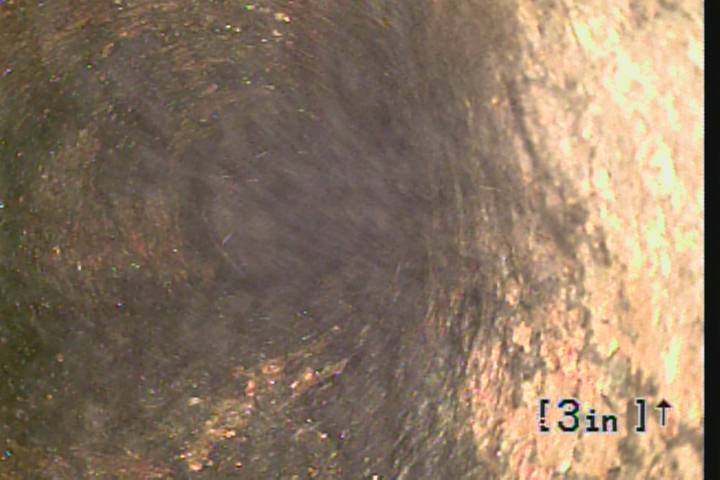 It also ensures that the sewer was cleaned correctly. 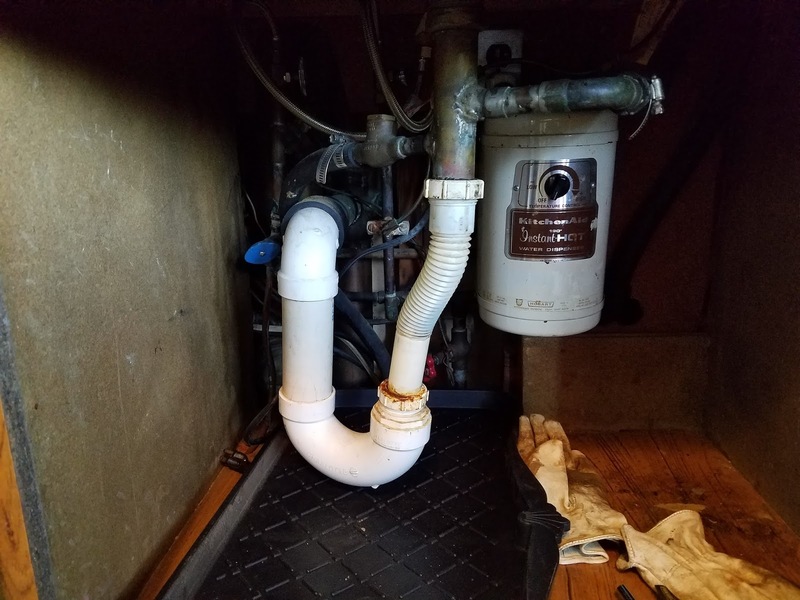 The pic below is a customer's house who's sewer was cleaned by a $50 dollar sewer company's tech that had to come back again after it backed up after a week. 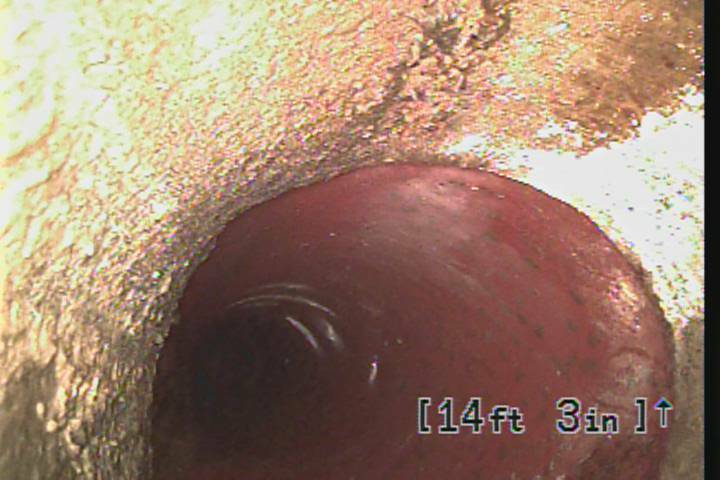 This sewer line backed up a 2nd time and the customer was done with them. 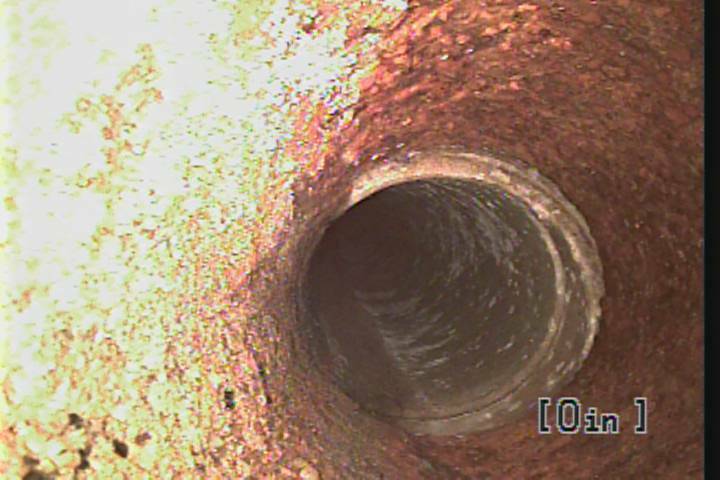 The line was down to a slow drain so by the time we arrived we were able to put in the sewer camera before doing anything. 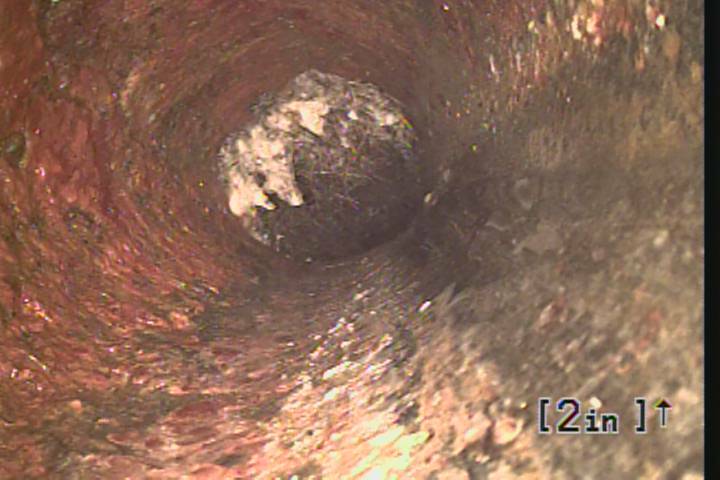 Usually the objective of these sewer companies is to cable the sewer line once with a 2 inch blade and get the water flowing. 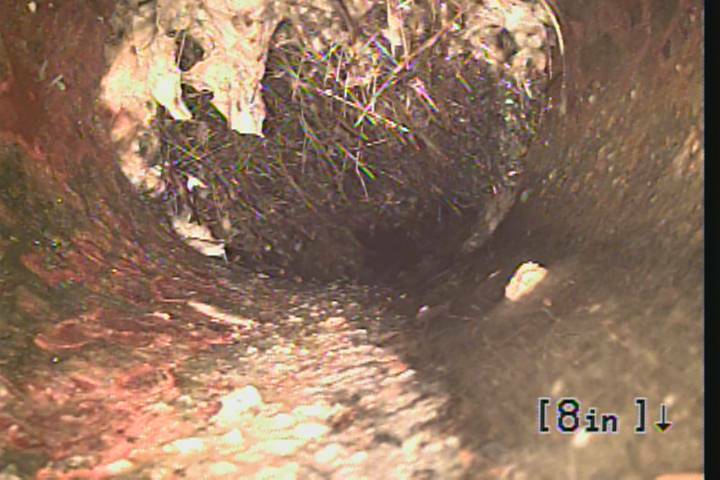 Little does the customer know that this large mass of roots is still in the sewer line because a sewer camera was not used and will probably backup within a month or 2. 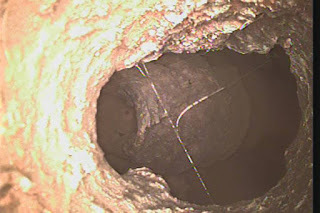 After the sewer backs up again then a camera will be recommended or water jet which will usually start at $250 for the sewer camera and minimum $500- $1200 for a sewer water jet cleaning. We do water jetting as well which we charge $500 for 2 hours but only as a LAST resort or if requested by the customer. We are NOT a commission based company so we do not sell the customer something that is not needed. We know you work hard for your money as do we. We do not rush through jobs. We made this post because of our customer & others not knowing why one sewer company charges $50 and the others are higher(He does now). This is one of those reasons. It's true in life that you get what you pay for! American Sewer & Drain Cleaning Inc. provides affordable services to residential homes and commercial businesses. 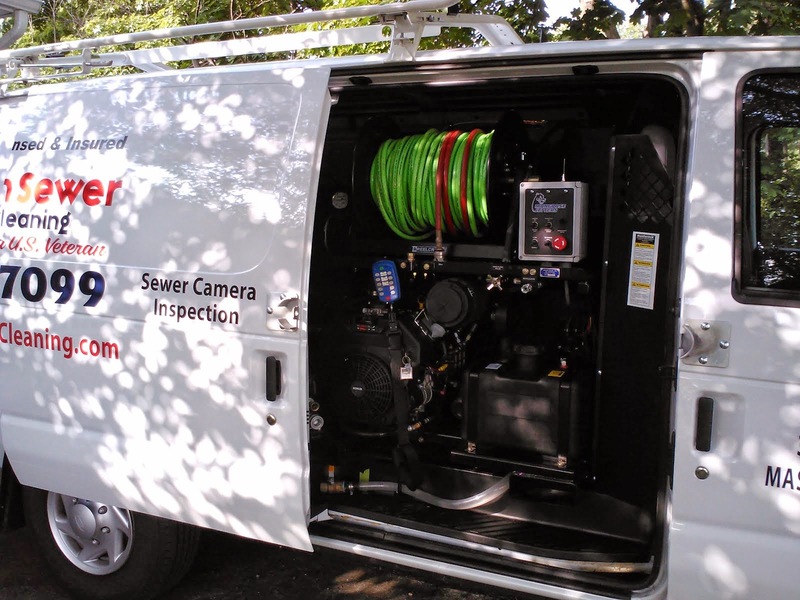 This business is owner/operated with 27 years of experience which means that you are sure to get your money's worth when you call for sewer and drain cleaning service. We offer a year guarantee on any sink or tub that we service as long as the plumbing is piped correctly. We run into some piping jobs that we just say "Wow" to because of the way it was plumbed in as seen in this pic. 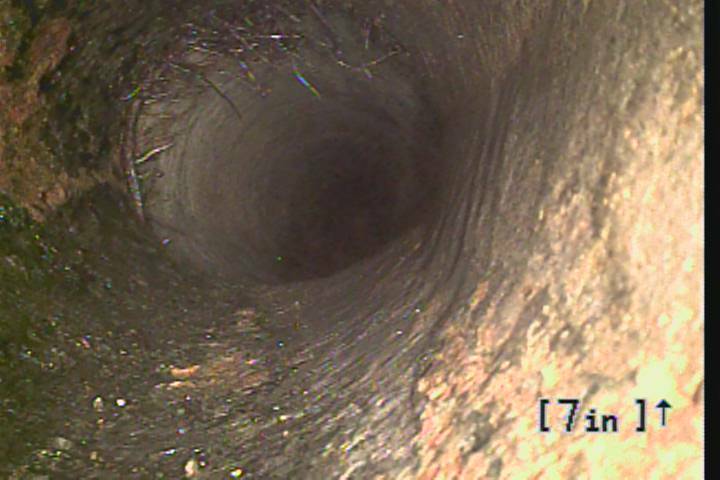 On all sewer cleaning service jobs as you can see in the following pics we use a sewer camera so we can check out exactly why your sewer line backed up and what can be done to prevent future back ups. 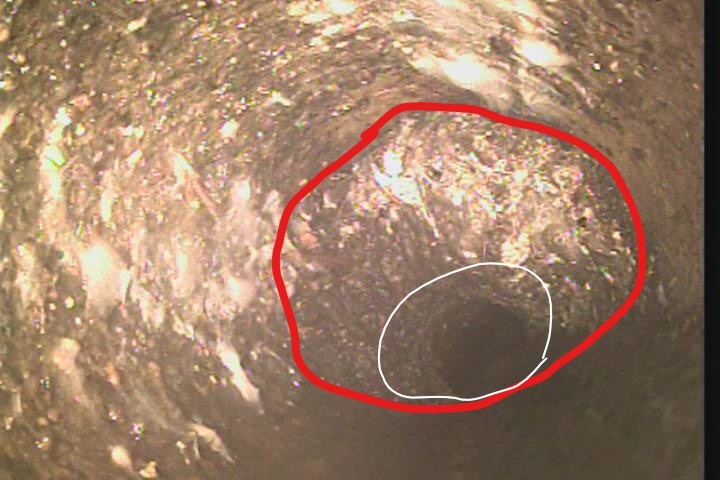 This customer's sewer has had service 4 times in the past year by other sewer companies who could only tell the customer that there's a problem. Well obviously yes of course but what? Well as you can see in these before and after pics using a blade and cable only you can see in the before pic a small path through the root blockage where a small cutter was used. Usually sewer companies that advertise a very low price will use a small blade in order to get the sewer flowing and not much of anything else. 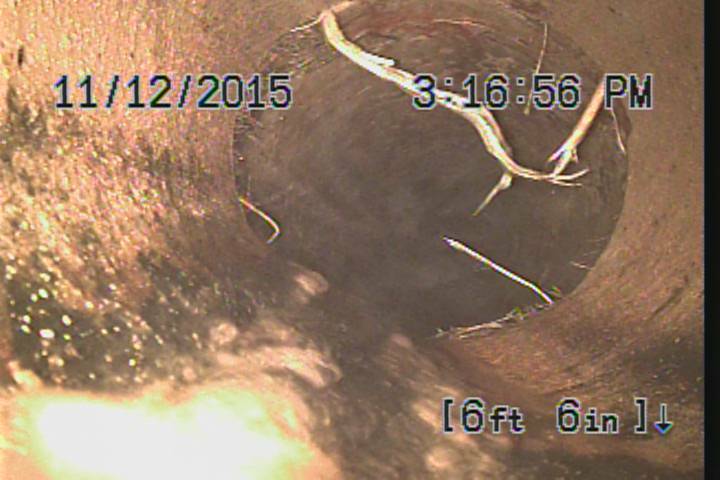 They don't use a sewer camera so you will not see that this huge root mass is still lingering in your sewer. 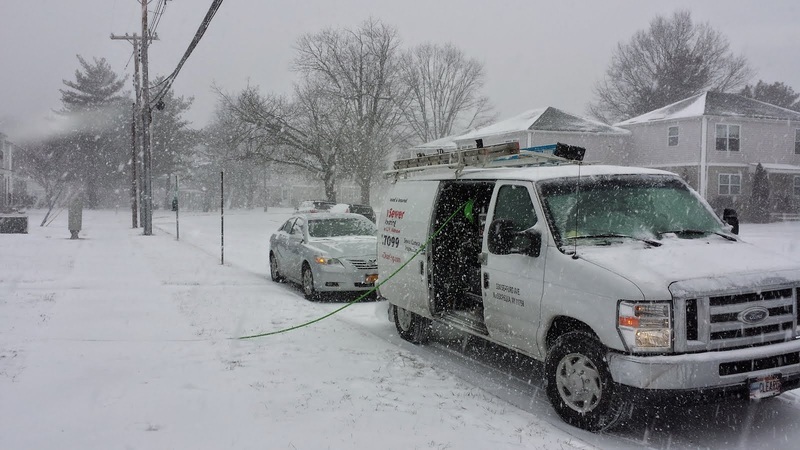 As an owner/operator it is my job to make sure that I give my customers my time for which they are paying to do the best possible job for them. I give 110% on every job. 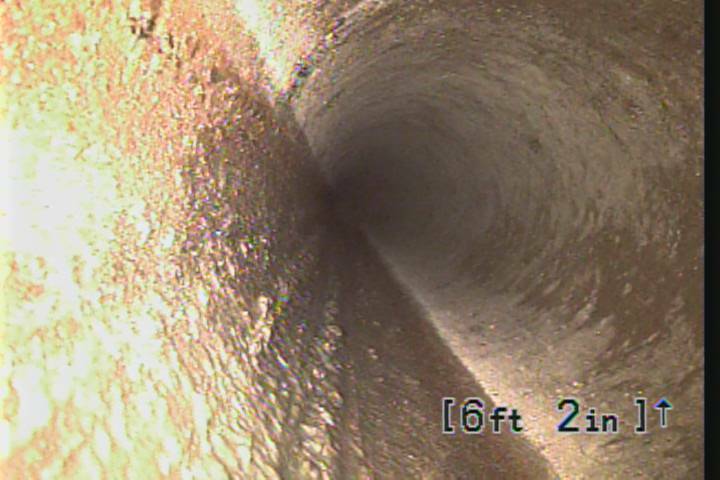 To some people it's just a "SIMPLE" job but to me it's my job to make sure that your sewer doesn't back up 4 times a year due to an improper sewer cleaning. Some of these jobs are far from simple and some take longer than others. 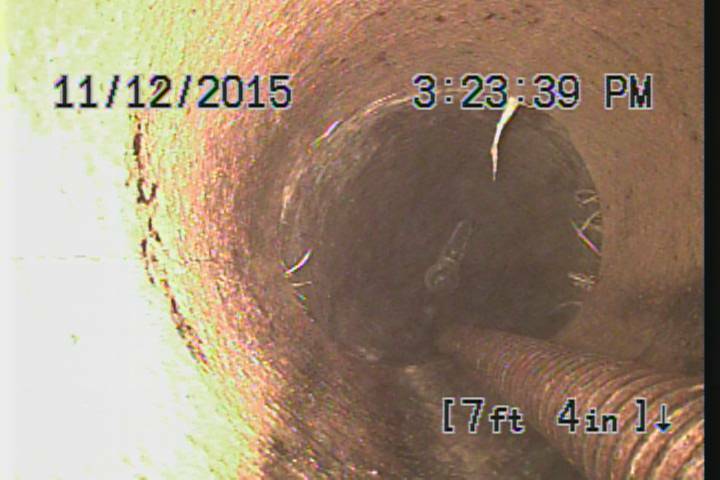 Mind you that this sewer was cleaned 3-4 months ago. 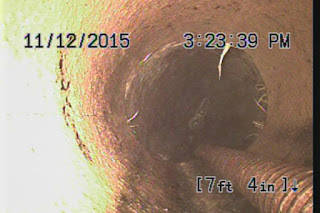 Sewer Camera Inspection for a customer in Nassau County, Long Island NY. 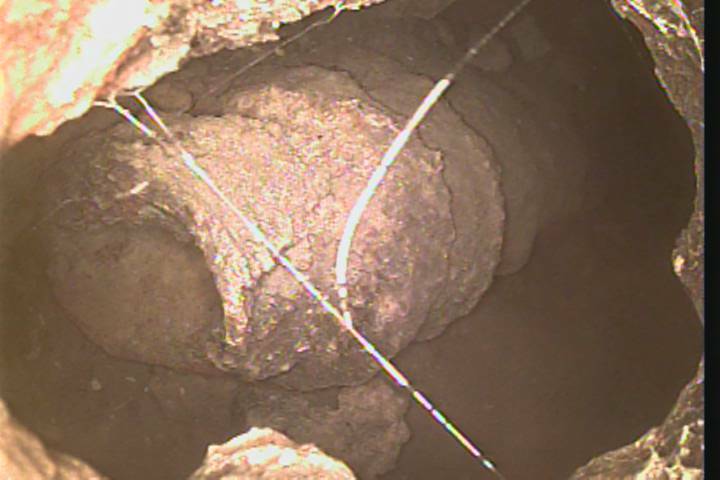 This sewer line has repeated problems due to the sewer line being back pitched. 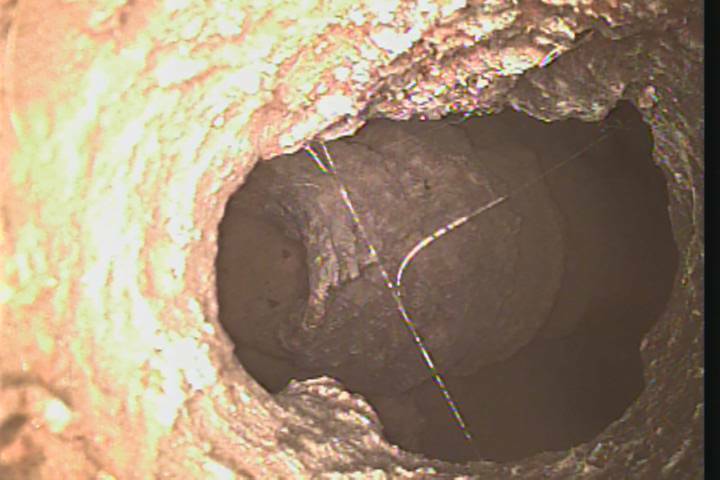 Customer was having sewer cleaning service more than once per year and wanted the problem fixed.